Well….today was too awesome for words. So we’ll blog again tomorrow…. Seriously today was overwhelming. We just finished debriefing as a team (as this is being written) and our sharing was so full of emotion and our hearts are so full. It was extraordinary day for a group of extraordinary nobodies. Our day began when we set foot off the bus and onto Enaleni. We were so thrilled to finally be there. We were instantly met by Pastor Peter and his wife Precious and the D-Team members. It was so great to see them!! We were also very excited to see the church beginnings! We have been so excited to build on the dream that was born last year with Todd & Pastor Peter. When we stepped onto the ground it was like we could see the reality of it for the first time. Don’t get me wrong….the carepoint looks pretty messy. However….we can see through the mess and see the vision of the church…..and it is BIG! We were so thrilled to get to work. There were a few kids at the carepoint already that we began to greet and what an experience for the team. Just to begin to connect with them was so precious and such a moment so many were waiting for. The kids opened up to us quickly and before we knew it we had them laughing and playing. We got to work pretty quickly and began laying bricks on the church. Others took some time to see around the carepoint, play with the kids and get the kids ministry program ready. We had an awesome day working and doing the program with the kids. We seriously cannot express into words the emotions that we felt today. Our hearts felt like they were instantly connected with everyone at Enaleni. We were moved by the progress that we see in the kids and in their growth and joy. Many were brought to tears by the welcome that they received by our kids at Enaleni. We worked very hard today and really made some progress. We were able to lay all of the “below grade” bricks on the foundation and started to see some of the walls coming out of the ground. Tomorrow will be exciting as we see the church begin to more shape. We will basically be working on building the walls of the church this week. It is an incredible privilege to be a part of this project. Pastor Peter has such and incredible vision and he was ‘giddy’ all day as he saw things taking shape. The day with the kids was something that none of us will forget. The program part went great and the kids had so much fun. The connecting we had with the kids was so rich. We had a few of us that had the privilege of meeting our sponsor child today. It was more than we anticipated. I personally met up with our little 6 year old boy named Lukhetfo and it was so meaningful. He remembered me from the two years ago that my wife and I were there, he had our picture that we had sent him and he remembered my wife Kelly. I showed him pictures of our two boys. I felt like he was another one of my boys today. We played….spun around….he laughed, smiled….it was so rich. Lesley also met hers, Brenda met up with both hers Mitch’s. We are really tired tonight as we have still just overcome the jet lag and we really put it all out there today. I can’t say enough of how proud we are of our team. They have been amazing. They have worked so hard without complaint and put everything on the line. They let there emotions move freely and unreservedly in forming the connections with the children. We are overwhelmed with the profoundness of our relationship with Enaleni and the children there and what that means to us. It is truly as if our church is connected to theirs. We feel like even after one day we have experienced all that we came here to find. We are so excited to see what God is going to do in these next days. What a day it has been. I wish I could express it more but I’m at a loss for words….and pretty tired. I will try and tell the rest of our stories through some photos. We will post them at the end of this post. As well, below is some personal blogs posts from members of our team. Thanks again for all the comments….today we read through 26 of them and it brought us to tears. We feel so much like you are here with us. We look forward to reading them every evening! Wow, just WOW! today was beyond words, what an amazing country, the landscape with the mountains and the vegetation makes for breathtaking scenery and photos. The positivity of the people of the care point is awesome, they have so little but their smiles and laughter is greater then anything I have experienced back at home, it sounds crazy but I am different in a good way then yesterday. What an awesome first day on the ground!!! The people, the country, all a little overwhelming. I am so glad that I stepped out of my comfort zone and came to Swaziland. This is something that everyone should experience at least once in their life. More as the week goes on. If I had to go home today after only one day in Enaleni it would have been worth the 3 flights here, even the last one being 18 hours on a packed plane with stewardesses disciplining me on numerous occasions to sit down because the seat belt light was on for hours and hours. I never slept for a second for the whole experience but I would do it all again to spend one more day in Enaleni. I really honestly thought that our whole combined flight time was 18 hours not just one flight! From the moment I stepped on the bus to go to Enaleni I was nervous. When we stepped off that bus and onto Enaleni soil, that nevousness was gone. We met some of the D-team, Pastor Peter and his wife Precious, and also a few kids (and also a bunch of other people). The moment i saw those kids, my heart broke. I know already that it is going to be so hard to leave this beautiful place and all those awesome smiling kids. It’s been one day and I can already feel God working inside me and changing the way I see things. One thing that really stuck out to me today – we were doing VBS for the older kids in the afternoon and the whole group of them stood up and sang a song for us. Instantly I got tears in my eyes. It was so amazing and beautiful. Loved to find out that the girl leading the song was Lesley’s sponsor child. All in all, today was awesome and a roller coaster of emotion. I have never been so overwhelmed in my entire life (I actually have tears in my eyes while I’m writing this). I can’t wait to go back and see all those kids tomorrow! Did anyone mention how amazing this team is? Wow…I was reading everyones experiences for the day and its just incredible whats all happening over there. I have to say, it sure did move me. And Doug…when I scrolled down and saw your picture with your little sponsor guy…well..you know me, I lost it after that. I’m sure everyday will be more amazing than the day before. Have fun! We’re checking the blog everyday and praying for you all. Wear that sunscreen!! Hey Team! We just finished supper (No! Not Kraft Dinner!…tonight was Venison Stew w/ Ceasar Salad!) But for dessert we brought out the laptop to read the blog. What a rich treat. Way to go team! Fantastic job! We loved the pictures and the story of your first day at Enaleni. Wow! Do you guys have your work cut out for you! Big hugs from us to Pastor Peter, Precious and especially Ncumcile! Love you all! Gino, remember my advise and take heed! Hi Amy, i hope you are haveing an awsome time, and i hopw God is teaching you some stuff to. Amy i pray for you every night and i can’t wait for you to come home. I hope you have got to play at least one soccer game. To the whole team i hope you are haveing fun and i know you are doing great things in these people lives. I miss you daddy! You comin’ home yet? (Conner’s been waving at all of the airplanes in the sky and says “Hi Daddy! Hi Daddy!”)…only 10 more days! p.s. Mommy says to Jon: get some sleep and enjoy your day tomorrow! You are doing an awesome job over there that is an extention of us back home. You all are our arms (in helping to build the school/church). You are our feet (in walking to visit our communities’ homes with gifts and God’s blessings). You are our words (as you pass on hope and love through Jesus). You are our hearts (as you extend our hearts’ love and hope for Enaleni). Love you dear and hope you take in EVERY minute of it FULLY! Love you. p.p.s. Miss you too Shell! As I read your blogs, CRYING, I think back to last year and my first impressions when I arrived in Enaleni! I am so excited for you guys and the experiences you are having already at seeing God at work! Treasure those kids, the jobs you are doing and the D-team! I know that God’s love will shine through all of you. I have no idea what to say about this guys! I am SO proud of all of you and I am so thrilled that you are all bringing such blessing and hope to these people and the children. God be praised for all that He is doing here! LeeAnn, honey, I just cannot put into words how proud I am of you and how much I love you! However, when I see pictures like this one they make me cry. You know I am trying to repress my emotions until next Friday (Gino back me up here)! Not making it easy, that’s all I’m saying! Your mom and dad both say hi and that they are also very proud of you. Pour it on guys and gals! Be safe, and continue to watch out for eachother! Great blog today team 2010!!! It brought back many of the memories of the emotions I felt when we arrived at the carepoint for the first time as part of team 2009. It’s also great to see you all bonding as a team so quickly, as we did a year ago. I pray that you will have a great impact on the lives of the people and children of Enaleni and Bhobhokazi. Keep the great pics coming! Me and Ashley and Jessica were taking turns reading the blog out loud and I felt exhausted by the end of it. You all seem to be having no problem finding things to do around there I hope you find time to rest a little. All the info is greatly appreciated, I’ve never spent so much time on a computer before and I love to hear and see what your doing over there. Awesome job everybody!! Les, I’m glad to see our girl is doing so wonderful, and I’m looking forward to seeing all the pics and vids your capturing. P.S. please try and include a picture of a scorpion if you guys happen to dig one up because that was pretty cool last year. A big hello to everyone, especially my long time friends Natalie, Joelle and Dale. It is a blessing to hear your accounts of the joy permeating the children of Enaleni. You will just be starting your day – sustained by a good sleep I hope. It is time for bed here, but I had to check out the blog and read everything so far. Continue to work with unity and compassion towards each other on the team – that will be more of a challenge as you are tired than to show love to the kids. What I am amazed at is how God has prepared the way once again for this years Riverwood team to “tag team” in a sense the work that was begun a few years back, starting with Todd/Carolyn, Jon/Kelly – then the team last year, and now all of you this year. This has been a journey that has enabled the children and workers there to build on the relationships that began way back when. This team is enjoying many of the fruits of the labor of the past – yet you will be creating your own unique story to add for the years to come. Trust is beginning to develop and that is what I see as exciting as you represent the church family of Riverwood. We cheer you all on and thank God for the new church building that your hands have the privilege of building. You will all remember this time many many years from now and we will all give Glory to God for the people in the valleys that will enter those doors and develop a relationship with Jesus – they too will have a story. 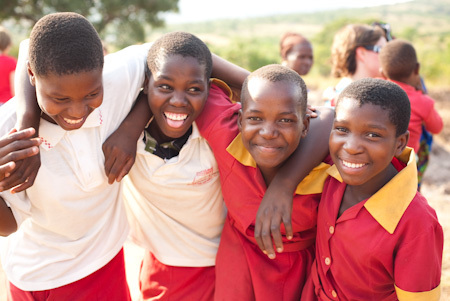 to serve in this way – you will receive far more than you will ever give to the people of Swaziland. 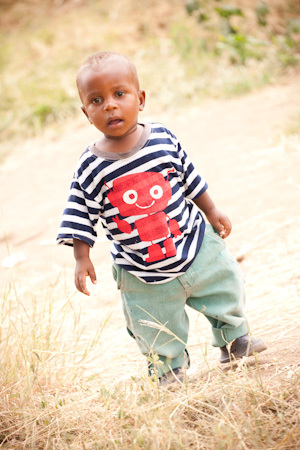 Could someone give Scl’mphilo a hug for our family – he is our sponsor child – one of the oldest there. 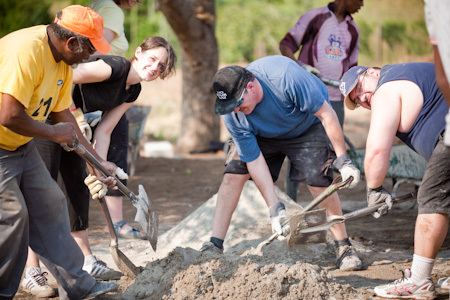 When we were in Swaziland last Christmas it was very barren there – it is coming alive now with the work of your hands. Hey Guys just wanted to say Hi…wait this isn’t the blog site…oops. It sure is great to be with you folks, your a special group of people. you are there and you all ROCK huge… Glad to hear that God working all the details out with the church and the packages and everything..
Dave way to go man… you are AWESOME. Hey so did Kriek ask you if you folded or Scrunched? I read your blog Breanne and just wanted to let you know that I am so glad you are having this fantastic experience. It’s so quiet around here and that makes me think of you often. Continue to have a great time and know that we love you. Praying for you all today…..! Praying for supernatural sleep to energize you. Praying for supernatural love to radiate from you. Praying for supernatural strength to do things you have no idea that you can do, doing all in the name of Jesus! Feel our love and our blessing on you today. We are proud of you and are with you! Hey guys, way to go team!! Wow what a first day at the carepoint for you. Just know that each day will get better and better as the week goes on. It’s amazing to see the progress already and I just love seeing pictures of the kids. Makes me miss being there soooooooo much. I can’t wait to read more from your adventures. Brenda I miss your e-mails! Was Vusi at the carepoint? Is he still sad? I hope you’re taking lots of pictures and I don’t want to hear anything about how your pictures are crap when you get back 🙂 I know they’ll be beautiful and amazing. Look at the canvas you get to work with!! to the rest of the team. I don’t know most of you but I know you all have a heart for these people and that you’re doing an amazing job out there. Your church is praying hard for you and we are all so proud to have you there representing us. Enjoy your time there, it will go by so quickly. I think to say an awesome first day is an understatment!! My eyes were welling up just reading about how great it was. I am so proud of you and what God is doing and will continue to do in your life. I was in tears reading all of your blogs! It makes me feel connected to what all of you are doing. I am praying for all of you! Hey SwaziTeam, Thanks for sharing your first day experiences with us. No doubt you all wanted to crash when you reached the conference centre but you took the time to let us know about your stupendous day. Hope that day 2 was even better than day 1. To help with your vocabulary I’ve gone to my thesaurus to get a few more synonyms for awesome and amazing, overwhelming, grand, tremendous, splendid, astounding, remarkable, incredible, marvelous, miraculous, mind-boggling, staggering. But even these words will fail to express the depth of what you are feeling in your hearts and souls. And I believe our Lord Jesus is delighted with you and his love which you are sharing with some of the ‘least’ and the ‘poorest’. We are holding you in our hearts and praying for endurance for the remainder of your trip. Doug…one more thing..can you keep a lookout for our little guy that we sponsor and take a picture of him, together with you? His name is Siyabonga Dlamini and he’s 11 years old, well, maybe 12 by now. That would mean soooo much to us. Hope its another great day for you all! It’s great to hear from you all and know that you have arrived safe and sound. It’s also good to hear that you have already pitched in and started with the construction of the new church building. Keep up the hard work but also keep smiling. Kelly…I am surviving so far without you being here and making me those wonderful suppers for me. So far so good. We love you and miss you but we know you are with great company and that the Lord will use you and the team in a rich and powerful way. We are following your blog with much interest. We are glad to hear that you’ve arrived safely and your work there has begun. We are thinking and praying for you as you go about your daily efforts. We absolutely love seeing the photos. Sandra, we are watching out for your daughter. Gino – stay out of trouble! Hugs to you both. Hi to all of you. i just finished reading your blog (with tears.) thanks so much for sharing this experience with all of us by writing. it is so great to have you there being Riverwood’s hands and feet and heart and tears. you are all so special and we love you and will continue to pray for you. if you see my sponsor boy named Phila–he’s about 14 please give him a hug for me and let him know how great he is.